The Rabbit wine opener, or Rabbit corkscrew, is a great device for wine lovers who constantly find little bits of cork in their favorite bottle. 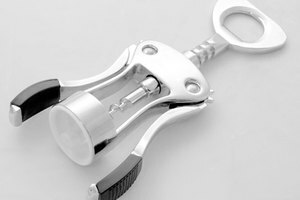 This wine opener inserts a worm into the cork and pulls it out with a simple lowering and lifting of a lever. As with any product you use all the time, the parts inside the Rabbit wine opener will wear down and stop functioning correctly. 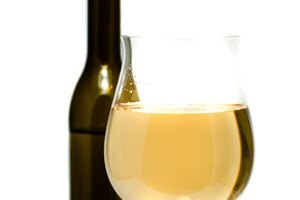 A common problem is a worm that pushes down on the cork instead of lifting it out. This can be fixed with a quick inspection and a screwdriver. 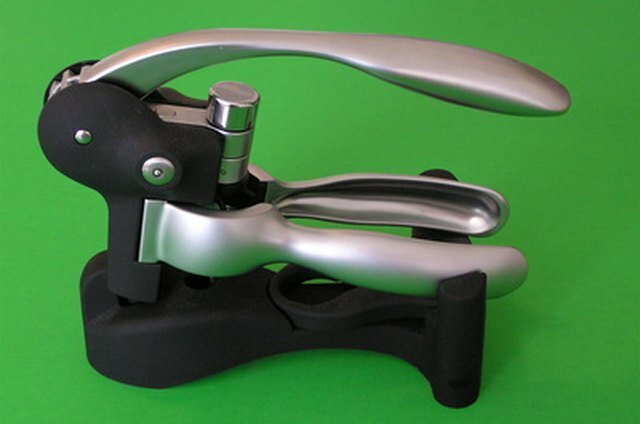 Close the two handles of the Rabbit wine opener on the neck of a wine bottle. If you look beneath the two handles, you'll notice two small screws. These two screws should be on either side of the neck. If you can't see both screws because one is hiding behind the neck of the bottle, your Rabbit corkscrew is not aligned properly and you need to fix the interior bushing mechanism. Unscrew the two small screws to open up the covering and expose the bushing. It looks like a small plastic ring. Push the bushing back into place. 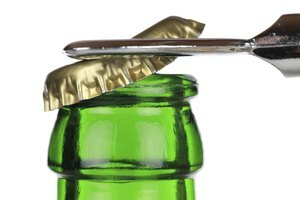 Over time the bushing can become dislodged from its original position and cause the handles to hold the bottle in the incorrect position. Pushing the bushing back into place will center the handles again. Place the covering back on and place another bottle in the Rabbit. Hold down the handles on the neck of the bottle and see if the two screws are on either side of the neck. If they are, you've fixed your Rabbit and it should be in fine working condition. If not, you may need to replace the bushing.